Swiss / Expat / journalist / researcher / investor / entrepreneur / motivated / CEO / student / graduate / professor / retired / opinion leader / enthusiastic / Artist / passionate / a knowlegable and educated individual working in Switzerland / someone who loves Switzerland / … ? Welcome to Rostigraben, the site that makes Switzerland move forward! Become a contributor Rostigraben now! 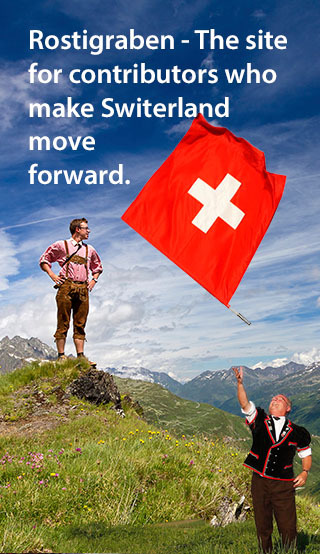 To “make Switzerland move forward”! By becoming a contributor, you have the ability to write your own articles and convey to Rostigraben’s readers and contributors information that somehow makes Switzerland move forward. More concretely? Talk about yourself, share your knowledge, tell your entrepreneurial experience, discuss a topic that interests you, express an opinion, talk about your project or your business and write an article that adds value to society or to others. The subject of your article should be linked to at least one of the following areas: finance, financial markets and investment, science, technology and innovation, “business” and Swiss industry, arts and entertainment, life stories and the stories of Swiss expatriates living abroad. 2 – Write your article via the tab “Submit an article” using a bit of humor and offbeat spirit while remaining serious and respecting the writing style of Rostigraben. We trust your spelling skills but please, do proof-read your text several times. 3 – finally Submit your article by clicking on the “Submit” button. This will be forwarded directly to the Rostigraben team. To ensure the perfect level of content on the site, Rostigraben team will indeed analyze, correct, validate, and if everything is OK, publish your article. It will then be visible on the home page of the website, under “Contributors” and on the most appropriate category. Your contribution will also be available via your Rostigraben profile. The period of validation / publishing articles is 24 hours maximum. Feel free to write articles regularly and spontaneously to keep people in the loop and improve your own and your business’s visibility. Use Rostigraben as a marketing tool. Be active. Write reviews, get advice from other contributors on a topic that interests you or a project you develop. 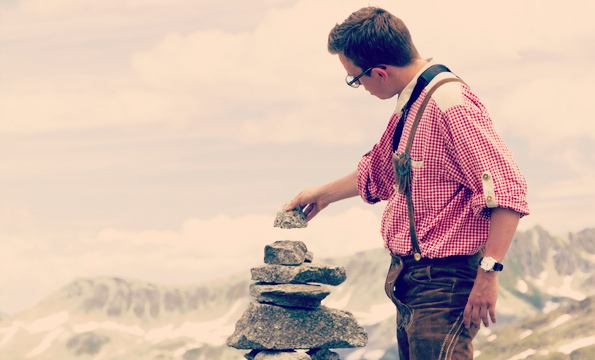 Promote the exchange and mutual enrichment and encourage the birth of new entrepreneurs in Switzerland ! We sincerely hope that your article matches the type of information that we cover. Rostigraben in fact reserves the right not to publish your article. Then, will you ask, what are our tips so that your article best respects the style of the house? Read the exisiting articles on the platform. Look for the impactful information. Understand the mindset. Avoid treating a subject that has already been mentioned on the platform. Be funny, adopt a quirky spirit while remaining serious. Stand out, think outside the box, on the edges of the box ! Use powerful securities. Identify original news topics. Express interesting and thoughtful analysis. Submit innovative ideas that could differentiate you from other contributors and impact your readers. The goal is to see your article make it to the ‘featured’ section of the website. If the latter is greatly appreciated by the Rostigraben community, we can indeed switch your article under “Headlines” and illustrate it with our own imagery to increase its impact on readers and contributors of the site. Be creative, show the example and make Switzerland move forward. What if you aren’t too comfortable with the pen? No worries! Send us your ideas and drafts anyways ! We will review them and adjust them to Rostigraben’s style – always with your consent. Do you want to contact us with questions or for additional info? Write to us at top@rostigraben.ch or use the form below.